The Fund is an actively managed portfolio of Australian listed smaller company securities. Greater opportunities for alpha: Micro Cap companies are under researched compared to larger companies which increases the reward for effort and the opportunity for alpha. Access to growth at reasonable prices: Micro Cap companies that are growing provide the potential for returns as long as you don’t overpay for that growth. The net return figure is calculated after fees and expenses. The gross return is calculated before fees and expenses. The benchmark is the SS&P/ASX Small Ordinaries Accumulation Index. Since inception is 01 May 2017. The performance figures presented are for the Ellerston Australian Micro Cap Fund. The one month return figure may be an estimate and not the final return. This estimate also impacts other performance information provided. Estimated performance figures (where indicated) are preliminary and subject to change. Returns for other classes may differ slightly. Past performance is not indicative of future performance. Ellerston Capital Limited ABN 34 110 397 674 AFSL 283 000 is the responsible entity. The information supplied above has been prepared by Ellerston Capital Limited without taking account of the objectives, financial situation or needs of investors. Before making an investment decision about any Fund persons should obtain advice from an appropriate financial adviser, consider their own individual circumstances and obtain a copy of the relevant Information Memorandum for the Fund which is available on this website. This material has been prepared based on information believed to be accurate at the time of publication. Assumptions and estimates may have been made which may prove not to be accurate. Ellerston Capital undertakes no responsibility to correct any such inaccuracy. Subsequent changes in circumstances may occur at any time and may impact the accuracy of the information. To the full extent permitted by law, none of Ellerston Capital Limited, or any member of the Ellerston Capital Limited Group of companies makes any warranty as to the accuracy or completeness of the information in this website and disclaims all liability that may arise due to any information contained in this website being inaccurate, unreliable or incomplete. The Ellerston Australian Micro Cap Fund is made up of a portfolio of between 30 – 60 Micro Cap stocks. The Fund invests across a number of sectors, and offers access to higher growth companies not widely known. The investment team employ a fundamental, bottom up approach to stock selection and combine that with a focus on risk management when constructing the portfolio. The team aims to outperform the S&P/ASX Small Ordinaries Accumulation Index over a rolling three year investment horizon. Ellerston Capital Limited ABN 34 110 397 674 AFSL 283000 is the responsible entity and issuer of units in the Ellerston Australian Micro Cap Fund ARSN 619 727 356. Any information is general and does not take into account your personal objectives, financial situation or needs. Accordingly you should consider the relevant disclosure document before deciding whether to acquire or continue to hold units in the Fund available from this website or by contacting us on 02 9021 7797. 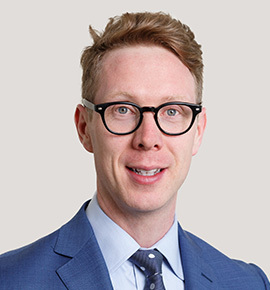 David joined Ellerston Capital as a Dealer in 2008 and transitioned into an analyst role within the Small Caps team. Using this experience, he has progressed to be the portfolio manager of the Australian MicroCaps fund in 2017. 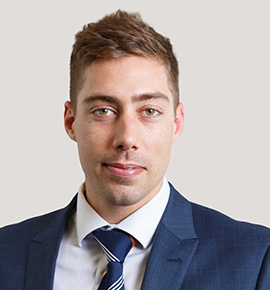 David has 13 years experience as an Investment Analyst and prior to joining Ellerston, David worked for UISL/Old Mutual in the UK for a period of 4 years in a Senior Dealing role. David graduated from Liverpool John Moore’s University with a BSc. Hons. in Technology Management in 2004. Alexandra joined Ellerston Capital as a Senior Analyst in 2017 and has 11 years of financial market experience. Prior to joining Ellerston, Alexandra worked as a lead analyst at Morgans where she was responsible for in-depth research and analysis on stocks that range from micro to large caps covering the Industrial sector. Alexandra also has extensive experience in IPO and pre-IPO markets where she has built up an extensive knowledge. 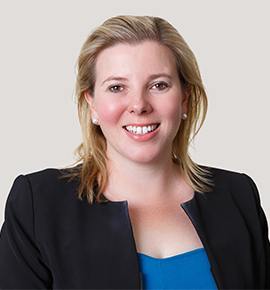 Alexandra graduated from Queensland University of Technology with a Bachelor of Laws and a Bachelor of Business majoring in Banking & Finance in 2007. She also holds a Graduate Diploma in Applied Finance from Finsia.